Some time ago, we wrote an article on ‘fake’ emotional support animals and cited proposed legislation aimed at making it more difficult for a tenant to feign a disability in order to bring Fluffy home. This turned out to be an emotionally charged subject and so with comments continuing to trickle in on a handful of LinkedIn groups, we wanted to re-visit the viral topic and give an update. 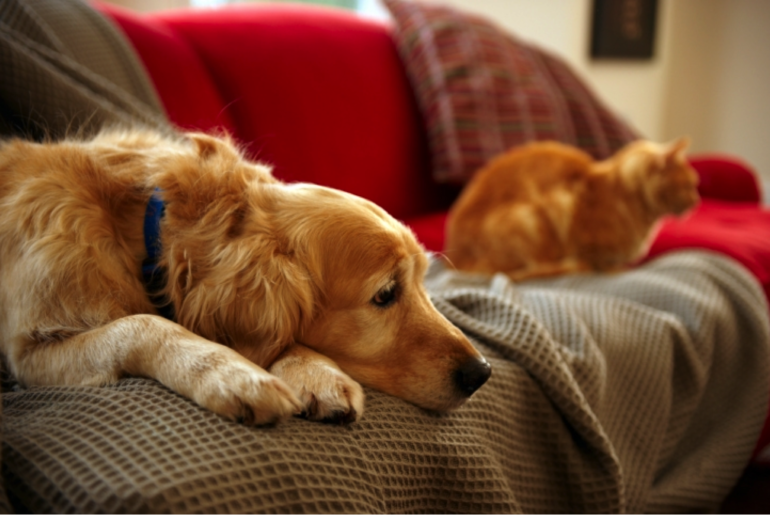 As a refresher, Assembly Bill 1569 would have required third-party verification when a prospective or current tenant requests the “reasonable accommodation” of allowing an emotional support animal into the rental unit. The bill had a short life, but the underlying concerns remain and are sure to be aired out in other venues. Some background. The Judiciary Committee and bill sponsors decided to put AB 1569 on ice until the fall of 2017, allowing time for the governing regulatory agency – the California Department of Fair Employment and Housing – to revise current regulations that cover emotional support animals cohabiting rental units. Read the minutes of a September 6 meeting when this body began hashing out the details. After noting the agency’s progress in tackling landlord concerns of unnecessary comfort animals, lawmakers seemed to have lost oomph and decided to kick the can to California’s top cop in housing accommodations and discrimination. The Fair Employment and Housing Council is about to start the rulemaking process on that proposed regulatory text. It contains, among other things, rules regarding emotional support animals. The chief architect of the fallen proposal – Assemblymember Anna Caballero – takes credit for bringing this topic to the forefront, noting that without the introduction of AB 1569, the issues of frivolous emotional support animals would go unaddressed by the agency. We were intrigued to see the lofty issue of emotional support animals make its way to air travelers, who may find themselves sitting next to dogs, ducks, squirrels, spiders, turkeys and even disruptive pigs. Increasingly, the friendly skies are frowning upon unnecessary animals, as Delta has recently tightened its rules. The carrier reports in-flight animal incidents have risen 84% since 2016, and they attribute the strife to a lack of regulation. In the absence of rules, the airline is requiring more documentation and in some cases, promises of good conduct for creatures that may cause raucous and not be able to find the lavatory. Back on the ground, many landlords share the call for regulation in an age when tenants can obtain a badge and harness with a few points and clicks. A disconnect in the law? Under California’s Penal Code 365.7, it is a misdemeanor for someone to knowingly and fraudulently represent themselves to be the owner or trainer of a service dog. To date, however, there is little disincentive for tenants to cry wolf when it comes to an emotional support animal, which need not be a dog and unlike a service animal, is not trained to perform a specific task like fetching dropped items, pulling a wheelchair, guiding the blind and the like. We suspect that the increased attention will eventually lead to increased regulations. Until this gap is closed, however, landlords should tread lightly, ever mindful of Unruh Civil Rights Act, the California Disabled Persons Act (CDPA), and the Fair Employment and Housing Act (FEHA).If a dog is a man’s best friend, a lawsuit is an owner’s worst enemy. We would be remiss not to note how moved we were by comments of those who had a loved one that was impaired and related their heartfelt story to argue against any effort to scale back protections against comfort animals. We’ve heard you and agree that animals are a source of healing and have a proven ability to ease the suffering from emotional challenges. Many people that are opposed to clamping down on emotional support animals nonetheless concede that some tenants are abusing the system. Our role at Bornstein Law is not to legislate, but to protect the rights of property owners who by and large would agree with our sentiment that emotional support animals serve an essential purpose when they are needed. There are bad-faith actors, however, that have no genuine need for accommodation and manipulate a system that is designed to give help to those that truly need it. In parting, the definition of a ‘service animal’ is much more convoluted today than the traditional image of a seeing-eye dog guiding a blind person. Societal values and medical advancements have identified many disabilities that are not readily apparent, such as PTSD, depression and other ailments that are aided by animals. Coupled with a proliferation of housing discrimination lawsuits, it is well advised for rental property owners to consult with an attorney.